One of students made dinner for me. Yummy! 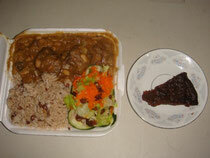 This ox tail and sorrel cake were best that I ever have.